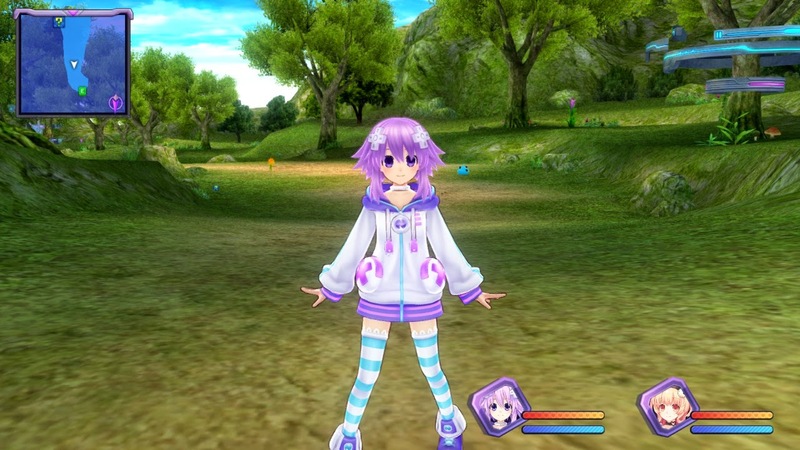 HyperDimension Neptunia Re;Birth 1 is the third iteration of this game released in the US. First on the PlayStation 3 by NIS, the "Re;Birthed" on the Vita and now the PC by Idea Factory International. With that said, instead of doing a review of the game that has been reviewed multiple times on 2 other platforms, we figured giving our impressions on the PC version would be more appropriate. So, what did we think?? Read after the break! First, let me say this.... YOU WANT TO USE A CONTROLLER WITH ANALOG STICKS. After 2 minutes, I ran upstairs and unplugged my Xbox 360 wired controller and played with that. Using a keyboard/mouse setup takes away from the game. Any Windows HID USB controller should work. Now as you can see, on-board graphics are NOT recommended, but that doesn't mean they don't work. My Surface gave me a consistent 30FPS until i had a MASSIVE character on screen or during certain animations, in which it dropped to around 24-26 FPS. not bad for a non gaming machine. Beyond that, the game retains all the fun, story elements and gameplay, at a higher resolution. There were resolution and video playback issues for some users (we never had any) which seems to have been fixed by patches after the fact. Considering it's Idea Foactory's first PC game, it's not bad at all. Yes, you can choose your language! 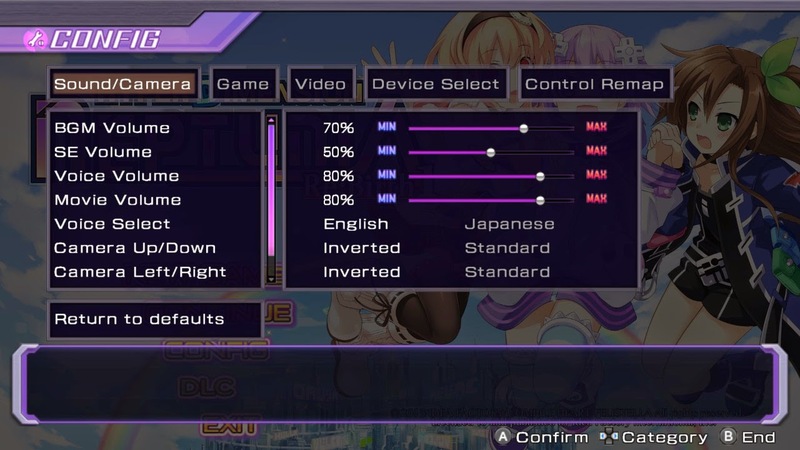 Native PC gamers may notice the game still feels very console centric in the menu options, but it isn't a big issue. You have all the standard console options as well PC centric options like video resolutions, control types and more. Yes, 720p seems to be the max, but the game still looks great. 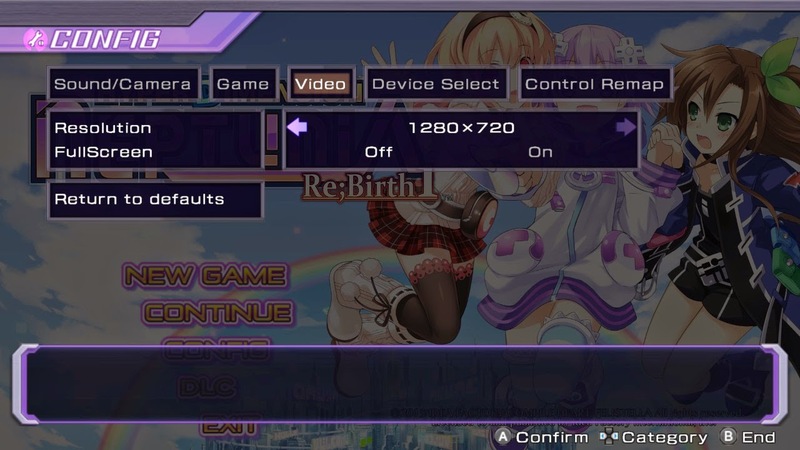 If you own the PS3 game, then Re;Birth 1 will be a noticeable update, if you own the Vita version, you are playing the EXACT same game at a higher resolution and cleaner textures. Should you buy this game? If you like Japanese RPGs and never played any of the other console exclusive versions, then yes. If you enjoy anime styling in your games, then yes. If you only played the PS3 version, then sure, it's a nice update of a fun game. If you own the Vita version? Then that is up to you. A larger screen, cleaner textures, and smoother playback may be enough for you, or you rather play the game on something bigger than a Vita, then this may be a good choice. I enjoyed the Neptunia myself, and since Sony still charges an arm and kidney for Vita memory cards, this is a GREAT option as I can play on the go and not worry about running out of room on my Vita's memory card. Re;Birth 2 is also on it's way to the PC, and hopefully the other will be as well. 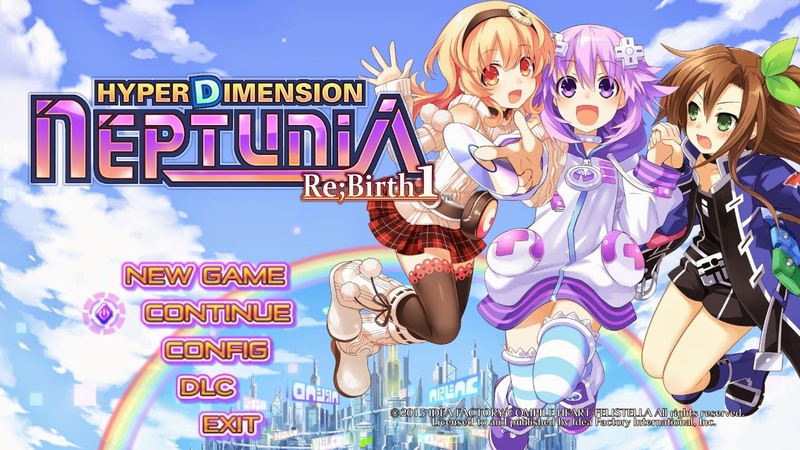 While HyperDimension Netpunia Re;birth may not be the greatest of JRPGs, it is still worth your time and money if you enjoy the genre.